Police are appealing for witnesses to an incident in the Carmeen Drive area of Rathcoole where a car was set alight and a house damaged. At approximately 11:45pm last night (Sunday), police received a report that a black Mini car that was parked outside a house had been set on fire. The car was destroyed as a result. Damage was also caused to a window and the front door of the house. An adult female who was in the house at the time was treated at the scene for minor cuts to her feet. 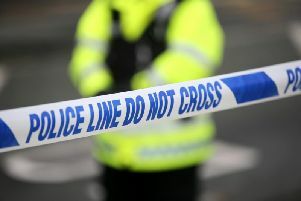 Three men wearing dark tops and scarves over their faces were seen running away towards Crossreagh Drive. Sergeant Stewart is appealing for anyone who has any information about this incident to contact the police in Newtownabbey on the non-emergency number 101, quoting reference 1249 of 29/01/17.